Last week, Wes and I started doing preschool at home. 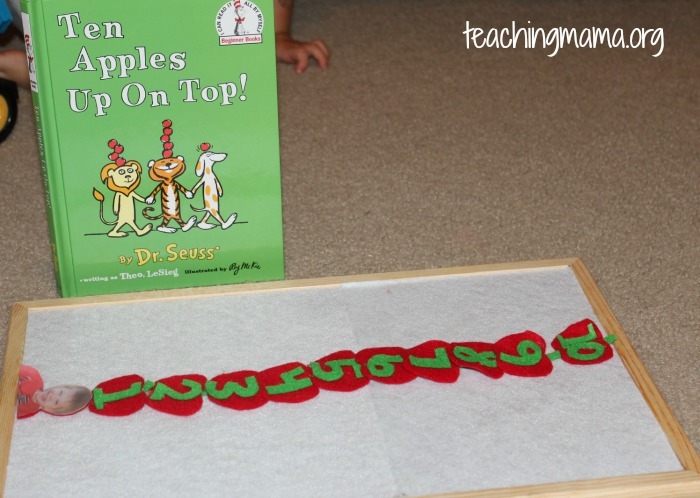 The letter we started learning about is ‘A’ and we are doing lots of activities with apples. 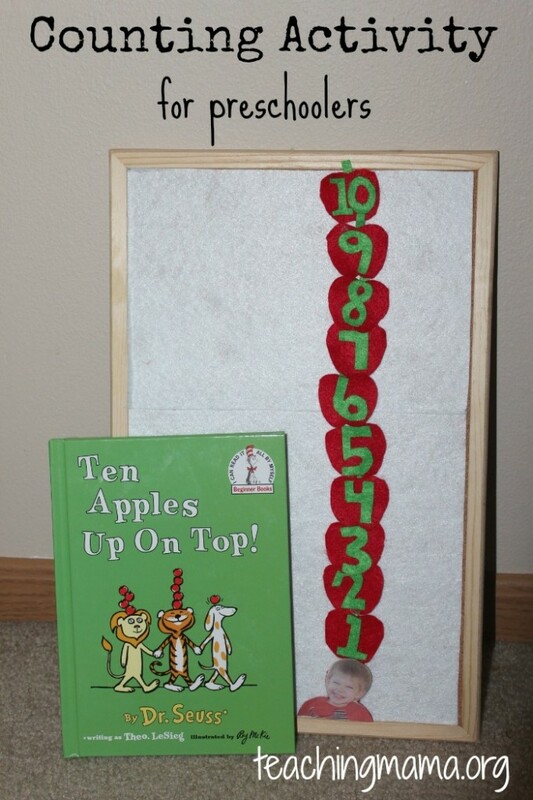 One of my favorite apple books is Ten Apples Up on Top by Dr. Seuss. 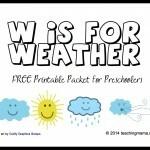 I was inspired to do this activity after reading this idea from Buggy and Buddy. 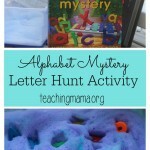 We put our own twist on the activity and it was a lot of fun! 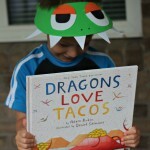 In this book, there is a lot of counting. The characters in the story are adding apples to the top of their head throughout the story. At the end, everyone has ten apples on top of their head! 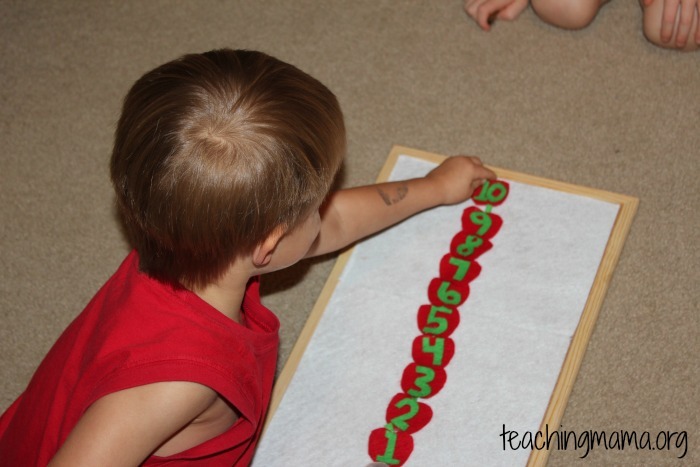 We did this activity after reading the book so that my preschooler could practice counting to 10. 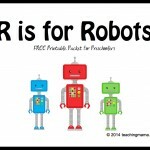 I also wanted him to have practice recognizing numbers and putting them in order. 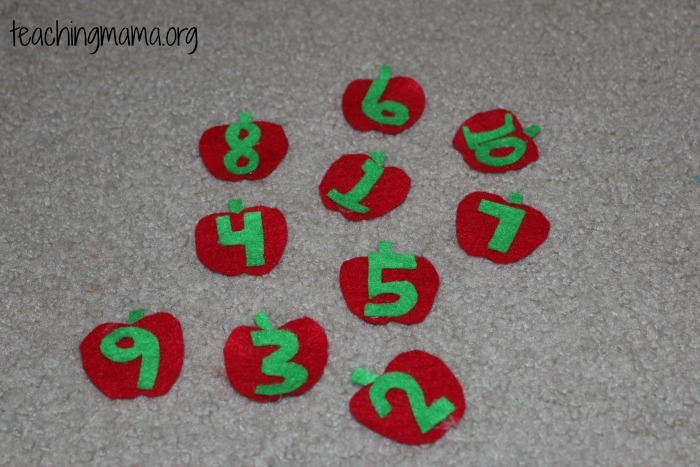 To prepare for this activity, I cut out 10 apples from red felt. 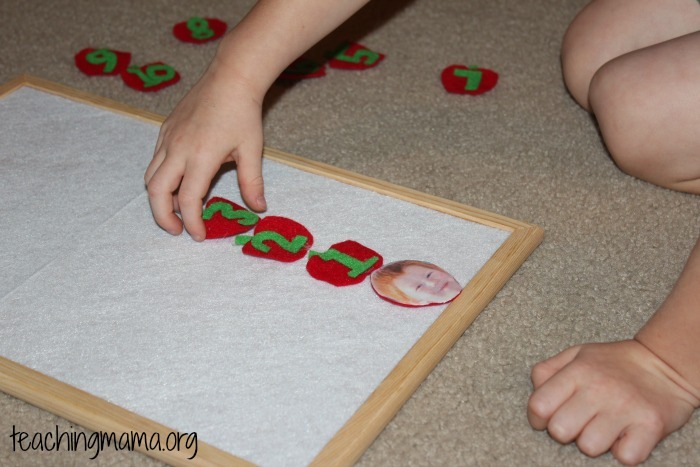 Then I cut out numbers from green felt. I hot glued them together and added a small green stem to the top. Pretty simple! Then I printed off a picture of my boys, cut them out and glued them to a small piece of felt. That way they could stick to the felt board for the activity. 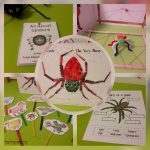 I used the felt board that I shared how to make on this post. When we did the activity, I mixed up the apples and had my son find the apple with 1 on it and place it on his head. Then we continued with 2, 3, 4, and so on. When he got stuck on remembering the next number, we went back and counted starting from 1. 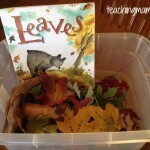 I had my older preschooler try this activity out and it was very easy for him. It was fun to see the difference between the two. 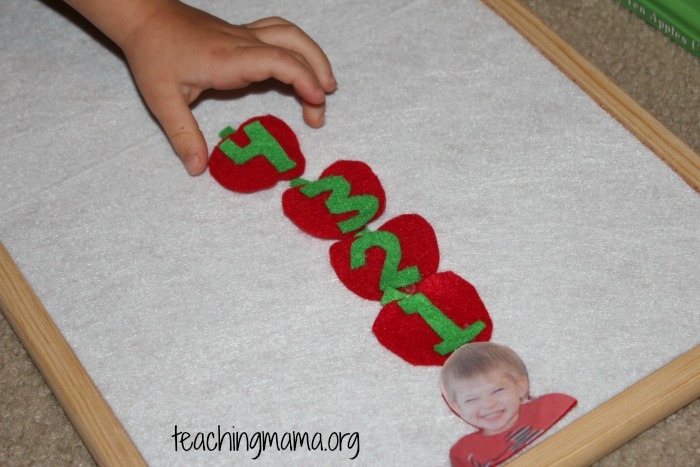 I noticed this was a harder task for my 3.1 year old, so we will continue to do this activity frequently until he can master it! I’m so excited to see this! I just requested this book at the library to use for a small preschool group a few friends and I are doing together every other week. I’m taking the first week and doing apples! I don’t have a felt board but I’m going to adapt and use the idea.